We have had sickness in our home, from cancer to the common cold. Dogs know when someone is sick, and how deep the intensity of the illness. If a family member is sick, Kaizer, if allowed, will lay next to the person, not demanding attention or to be petted, but to give warmth and love. He will lay still, eyes open, watching for any sign of need from the sick one, eager to do anything to help. At night, Kaizer has his choice of sleeping locations; two large dog beds are strategically located throughout the home insuring minimal steps to a resting place. 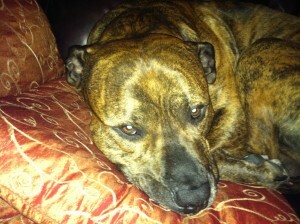 There are also four sofas and four beds equipped with pillows – Kaizer believes he owns them and rents the space to us. Yet at bedtime, with all the good places to rest, if everyone isn’t home he waits near the front door, and watches until he is either called to bed, or the last one of us comes home. His job is to protect his family, and he takes his profession seriously. His favorite toy is a stick – his favorite game is fetch. Kaizer is a renaissance dog, believing in old fashion simple values. Fetch the stick. Keep fetching the stick until the master is completely worn out, and then eat the stick. Repeat. He is not perfect. On occasion, he mistakes the carpet for a section of sod from the backyard. When confronted with this confusion, his shame and sincere need for forgiveness is evidenced by a motionless tail, swept back ears, and drooping head. After a brief lesson on how to differentiate carpet from grass, forgiveness is quickly given. Can a dusty, shedding, constantly eating, big headed dog teach us something about our relationship with God? Maybe. Absolutely, there is a lot we can learn from a good dog. This entry was posted in Living a Christian Life, Love and Compassion, Where Are You Going Today and tagged Dog, family, forgivness, friend, good, Heaven, important, Kaizer, love, protect, smiling, Thanks by Michael Obermire. Bookmark the permalink. I don’t say this enough to you but I really enjoy and appreciate your posts. I am challenged and motivated after reading them. Thx again and it was great seeing you Friday. If you ever need a Companion/Best Friend ever watcher I’m your guy. Great message! Amen Joe. 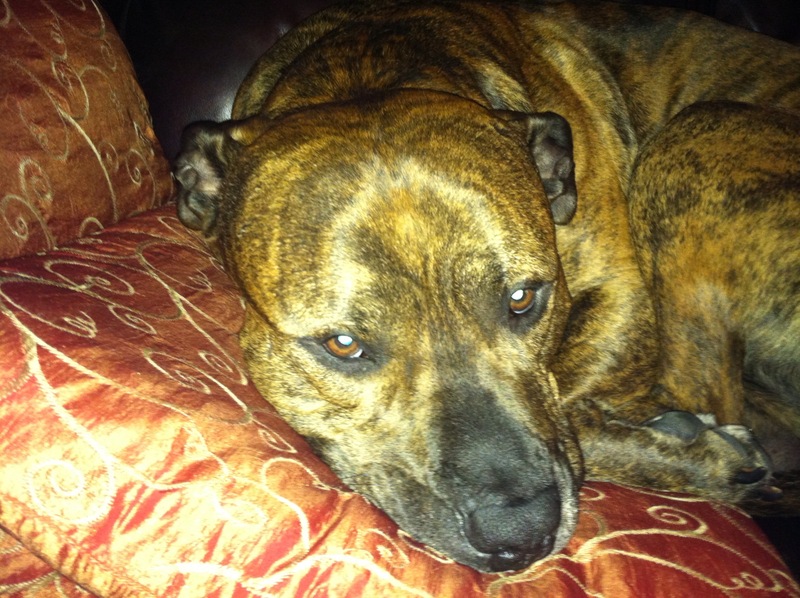 You and Kaizer would be great friends!